BIO: Jan Janas has a degree in art education and has been teaching art to adults for 25 years. 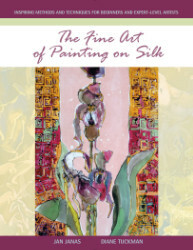 She is co-author of three art books on silk painting published by North Light Publishing Co. Janas' artwork has been displayed in museums, in owned by corporations, collected by private individuals, and has been hung in many national and international juried art shows. Janas resides in Truchas, New Mexico and opens her studio to the public for sales of her work and to teach private lessons. 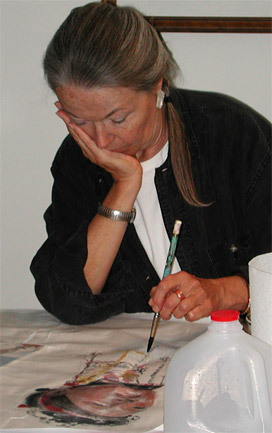 Jan travels and teaches art throughout the United States.